Illustrators Maja K Zetterberg (text) and Siri Ahmed Backström (illustrations) are the creators behind this year’s ALMA diploma. We asked them if they could describe the process behind the making of the diploma. What were your thoughts when you were asked to illustrate this year’s diploma? It was a great honor to be commissioned to create a diploma for such a large and important award. Of course we were delighted! Furthermore, it was a somewhat unusual challenge for us to work together to create one single original piece. Usually, we both work with images and text to be completed in a computer and printed in a large number of copies. Describe the preparatory creative process! We began by discussing, doing research and having workshops together. When it comes to creating the previous ALMA diplomas, calligrapher and illustrator have been working more separately, but now, as we´re sharing the same office we were able to collaborate closely from the beginning. We learnt about PRAESA’s work and talked about what we thought was important to highlight. Siri wanted to portray the feeling of freedom and pride that comes with using your native language to read and express yourself. Maja was inspired by the reading for enjoyment and PRAESA’s work with different languages. We worked a lot with getting text and illustrations to interact without losing the feeling of exclusivity that we wanted the diploma to have. 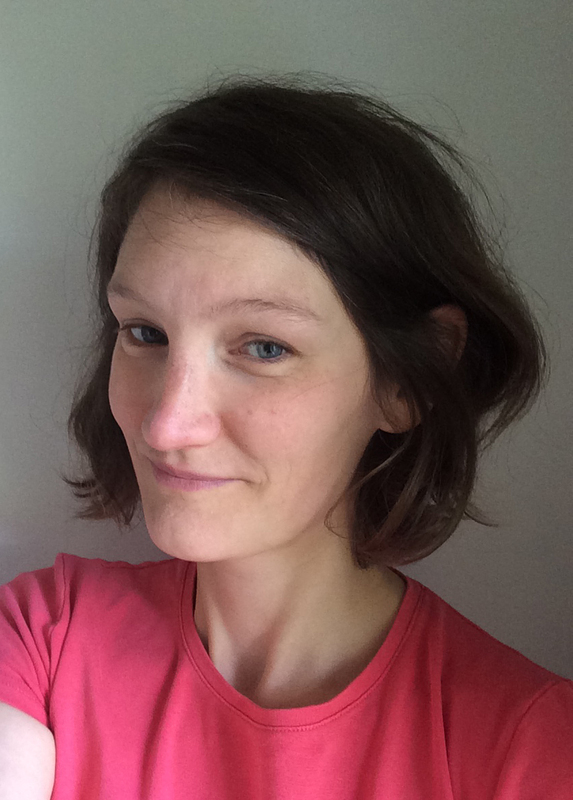 …and what about the studio work? We were given free hands, but were encouraged to have PRAESA’s work in mind when creating the diploma. We sketched a concept together and then worked separately with text and illustrations, constantly checking status with each other and took joint decisions on, for example, paper options. We also used the same type of pens so the words in text and illustrations are coherent in color and texture. Siri used lead and colored pens when sketching, and took the time to try a couple of variations of the illustration before the final version was completed. Maja sketched in different shapes and color of the characters and put the finishing touch which was copied by hand using a light table. What were the most difficult and easiest parts of the work? Growing up amidst the poverty and hardship of the Cape Flats, I remember one thing from my childhood—it was how the presence of books would come to change my life forever. My mother was a nurse and she was given old books to bring home from Princess Alice Orthopedic Hospital. The books fit the name of the hospital, I suppose, for we read Enid Blyton and other common literatures from English culture. What I remember, though, was being lifted out of my circumstances into foreign lands, exciting adventures and youthful dilemmas in ways unimaginable in a time before television. In the process I learnt to read, expand my vocabulary and, most of all, dream. This is precisely what PRAESA (the Project for the Study of Alternative Education in South Africa) does by exposing thousands of poor learners to the priceless gift of reading books in their own languages. Where others complain bitterly about “the lack of” provision of teaching and reading books by government, PRAESA has since 1992 simply gone out into the townships and done the work. In the process, individual lives have been enriched and whole communities transformed through the tireless work of a humble NGO in Cape Town. 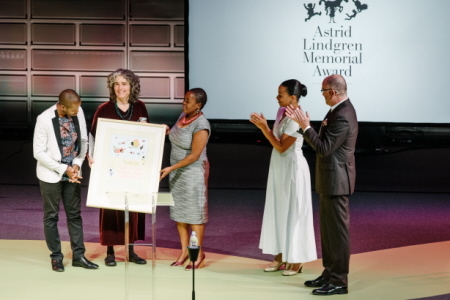 I was therefore overcome with joy when PRAESA won the prestigious 2015 Astrid Lindgren Memorial Award—the largest award for children’s literature and reading promotion in the world. It simply could not have happened to a more deserving organisation. The award not only will inspire and encourage the staff and supporters of PRAESA; it will also send a reminder to development and language activists in South Africa as well as the continent that our work counts, and that our labours in the corners of the education vineyard that governments sometimes cannot reach, do not go unnoticed. In a country in which the school system fails most of our children the work of PRAESA has become more urgent than ever in order to mend the broken nets through which so many learners fall every day. The ability to read brings so many benefits, not only cognitive and intellectual, but also personal and political. It builds confidence that spills over into achievement in other school subjects. It levels the playing grounds by race, gender and social class like no other educational intervention. Most of all, once you have acquired the gift of reading, nobody can take it away. Thank you, PRAESA. I for one am immensely proud of your Award. 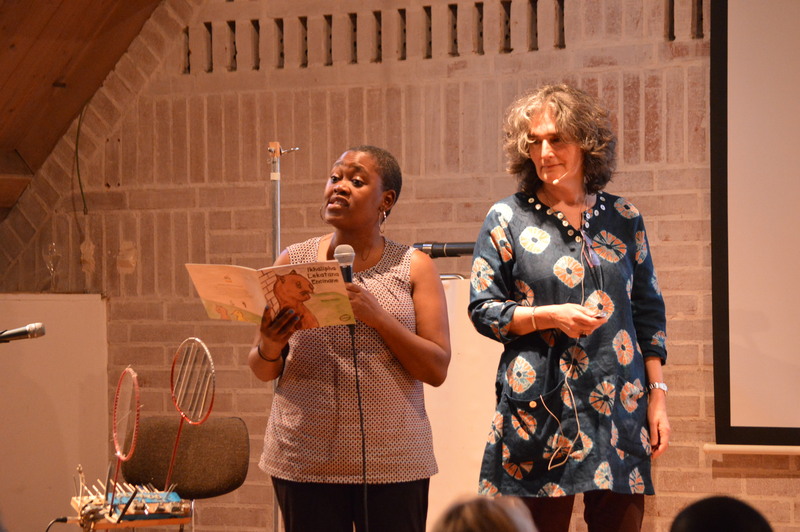 Every year in late spring, the International Youth Library has the great pleasure to present the new Astrid Lindgren Memorial Award (ALMA) winner to a German audience. PRAESA, the 2015 winners, travelled to Schloss Blutenburg in Munich on 3rd June. For them, the Munich visit was the conclusion to a busy ALMA award week in Sweden, which had been filled with school visits, interviews and presentations, including the grand prize giving ceremony at Stockholm Concert Hall just two nights before. PRAESA, Project for the Study of Alternative Education in South Africa, is an organisation that promotes reading and literature for young people in different languages. For more than twenty years PRAESA has combined latest research with creative methods to find new ways to make children in South Africa discover the joy of books and storytelling not only in English and Afrikaans but also – and most importantly – in their mother tongues. The ALMA evening opened with two musical pieces by Munich musician and multi-instrumentalist Ardhi Engl. 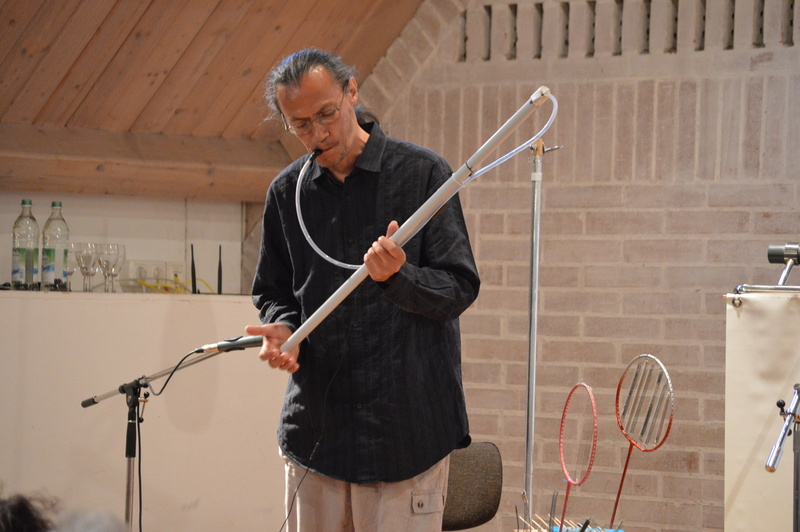 Playing on various instruments that he created from everyday objects, such as a piece of plastic pipe or a set of badminton rackets, Ardhi Engl entertained and delighted the audience in between speeches and presentations with his experimental compositions. Dr. Christiane Raabe, the library’s director, warmly welcomed the guests of honour and congratulated them on winning the world’s largest prize for international children’s and young adult literature. 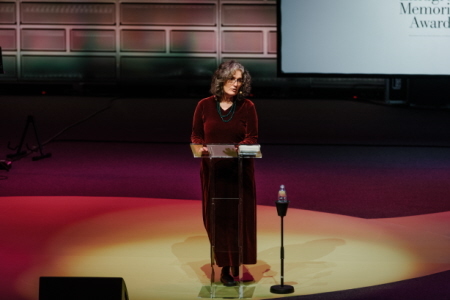 Her welcome address was followed by the laudatory speech held by renowned German children’s book author Kirsten Boie. Boie, who has been supporting humanitarian projects in Swasiland for years, stressed the importance of reading and storytelling. 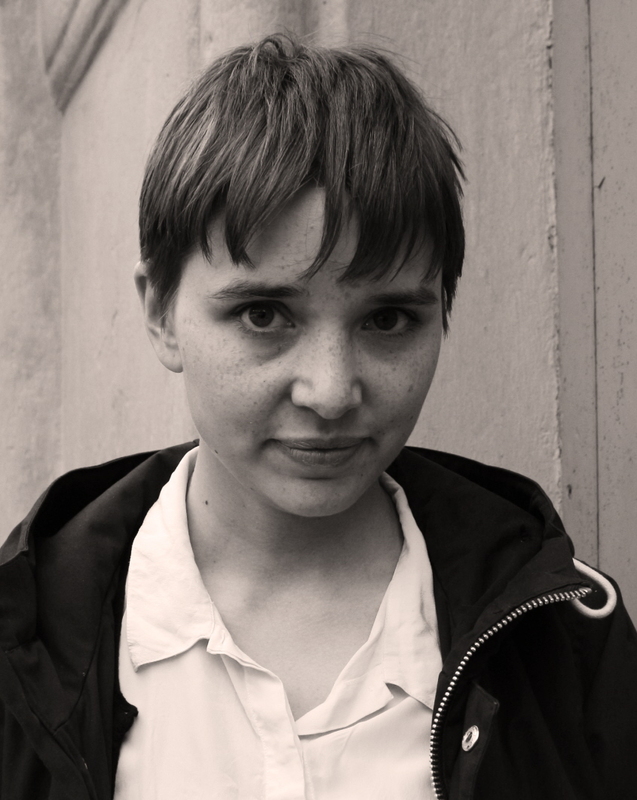 She stated how grateful she is that ALMA does not only honour the creators of children’s literature but also the people who strive hard to bring children and books together. To her, reading is a core skill that children need to learn in order to develop empathy with other people, express their own feelings more adequately and form their own opinions. She strongly believes that books and stories enable children to change the future world for the better – a belief that she shares with Astrid Lindgren and with PRAESA. Continue to read at the IJB web, link here. PRAESA founder, Neville Alexander, loved The Happy Prince by Oscar Wilde. I do too – and we’ve retold it in five languages to share in South Africa. I believe it captures the spirit of our work – you’ll remember how The Happy Prince gave of himself to allow others to help themselves. And how he persuaded his friend, the little Swallow, to pluck out his jewel of an eye and slip it into the hand of a poor little match girl, so that she would have something to take home and her father would not beat her. Our task is not charity but it does come from a charitable spirit. We have to transform children’s opportunities for literacy across South Africa from ones which often offer desert-like learning spaces to fertile ones where they can blossom into joyful readers and writers. So, aiming towards opening hearts and minds, the jewel we are slipping into the hands of children – and adults – is the power of a great story – in a multitude of languages. We believe that the stories we tell, write and read can change lives. Sharing stories inspire us all to struggle against becoming overwhelmed by the challenges we meet each day in our fractured and profoundly unequal society. This is the impetus behind the Nal’ibali reading-for-enjoyment campaign PRAESA runs. Too many ill-educated and disillusioned young people leave school telling angry, and resentful stories. A dangerous situation is brewing. Recent attacks on ‘foreigners’ from other parts of Africa suggest that we are horribly comfortable with the practice of ‘othering’ people. Increasing numbers of us remain trapped in ‘racial cages’ from which as Neville warned “we are willing to lay down our lives in ethnic and genocidal civil wars”. 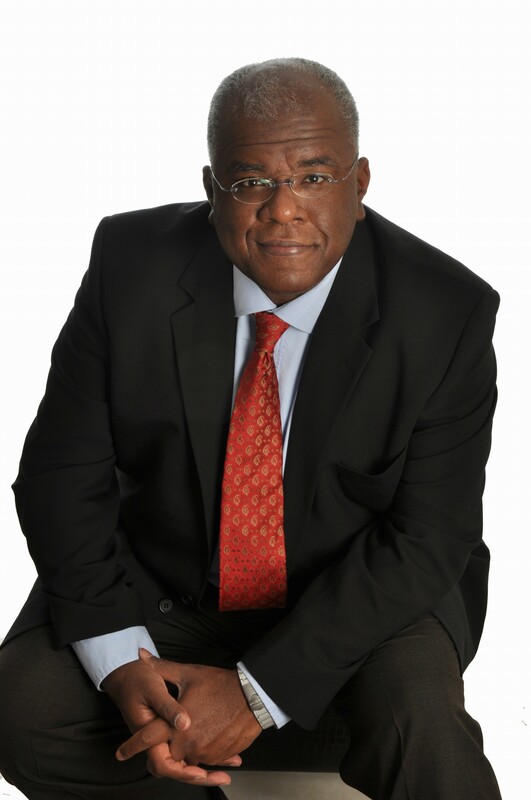 Now more than ever, we must learn from history, analyse and envisage alternatives to free our minds to imagine and even bring into being the ‘non-racial’ society that so many fought to see enshrined in South Africa’s constitution. Nal’ibali means ‘here’s the story’ in Xhosa. The story of the rainbow has guided our quest for national unity. But the rainbow has an illusive quality; it fades. So we prefer Neville’s conception… Imagine the great Gariep River flowing into the ocean of humanity with its main tributaries being African, European, Asian, and “American”. As these tributaries flow together they constitute the rich and complex culture of South Africa. At different times, the flow and influence of one tributary is stronger than another – but none ever disappears, because they are all part of the great river. This offers us dynamic ways to value ourselves and others, allowing us above all else, to cherish the fact that we belong to one human race. PRAESA’s home in Cape Town, is known as both the Cape of Storms and the Cape of Good Hope. As Neville liked to remind us, how we see things always depends on our angle of vision. Today, as we accept this great honour, our angle of vision is one of hope. The ALMA award in 2015 touches the lives of so many people – past and present staff members, partners and friends, local and global – and many thousands of children and adults in communities across South Africa. Thank you for affirming PRAESA’s work. Your faith in us will intensify support to bring the power of stories home for many years to come. Astrid Lindgren is smiling tonight and so is Neville Alexander. 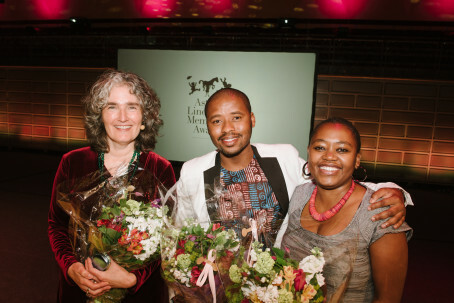 To all of you who have made this possible, especially IBBY-Sweden and IBBY-SA as well as IFLA who all nominated us, the ALMA jury who chose us, ALMA staff who are looking after us with such care, from my colleagues at home, and from the three of us here now, as we say in Xhosa, Siyabulela, we thank you. 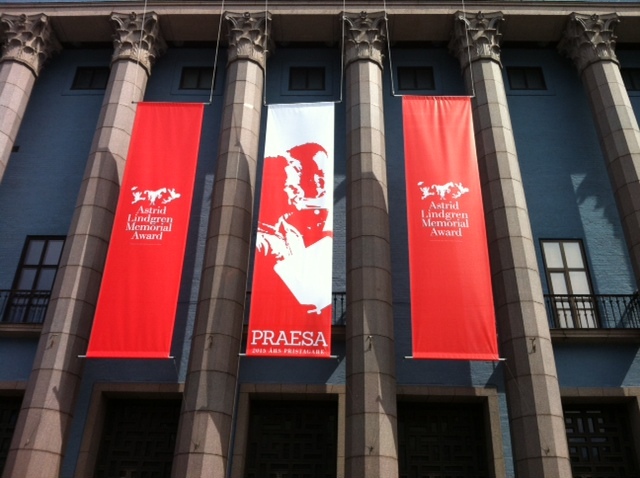 About PRAESA’s large-scale national reading promotion program – the Nal’ibali project. Nal’ibali is a network of reading clubs that uses media campaigns to encourage children to read and inspire parents, grandparents and teachers to read with them. High res B-rolls from the video is available on http://www.thenewsmarket.com/alma. 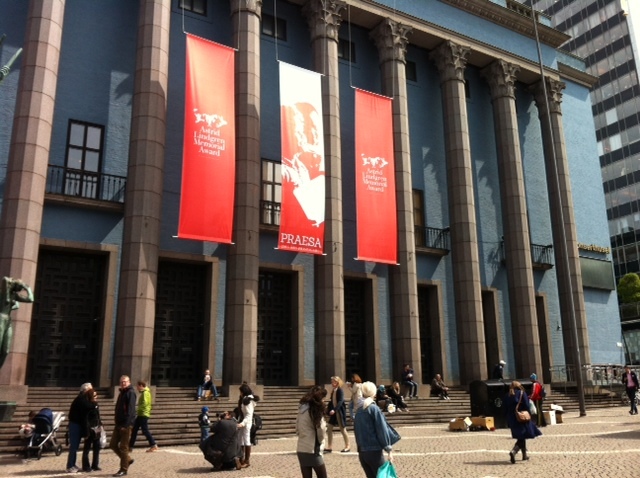 Award Ceremony at the Stockholm Concert Hall tonight! 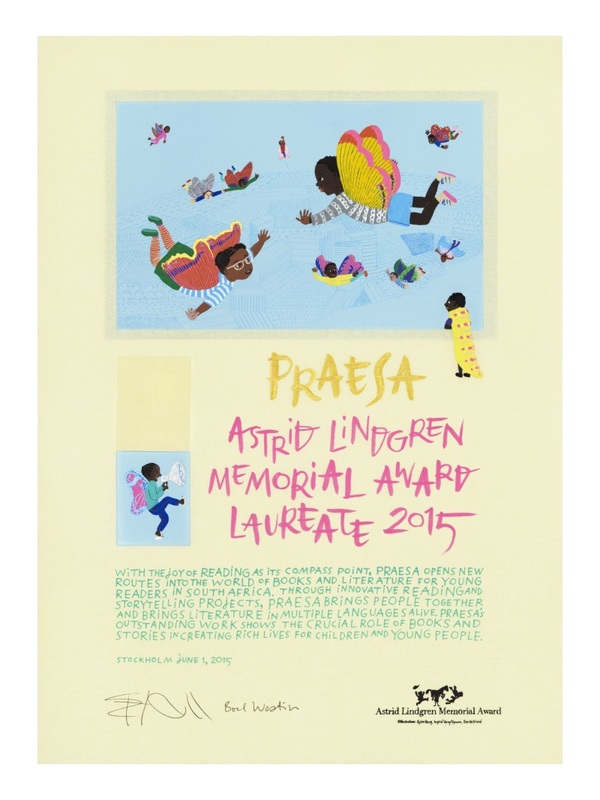 Tonight the Astrid Lindgren Memorial Award 2015 is presented to PRAESA! Interviews with the representatives from PRAESA, Director Carole Bloch, Training Coordinator Ntombizanele Mahobe and Programmes Support Manager Malusi Ntoyapi.